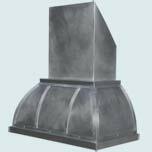 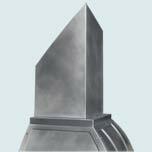 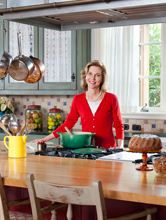 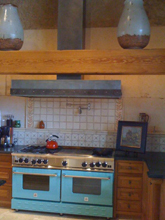 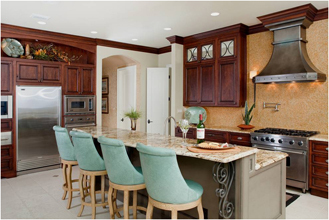 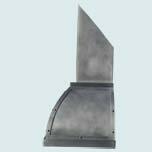 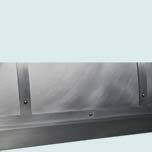 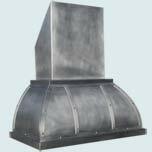 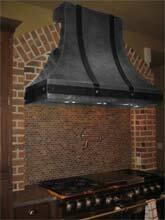 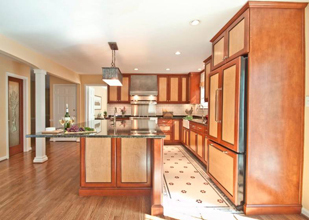 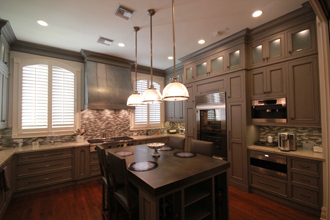 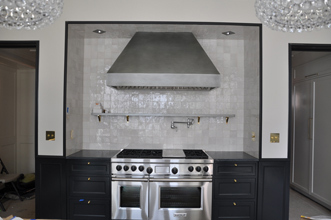 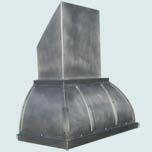 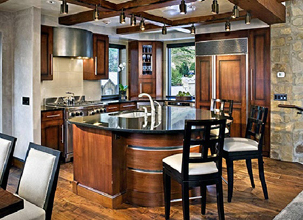 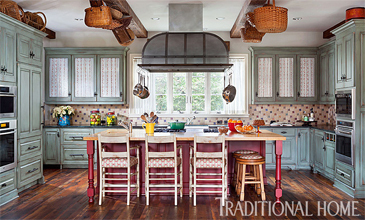 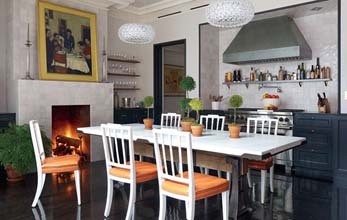 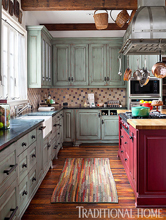 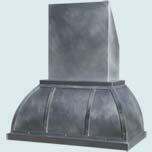 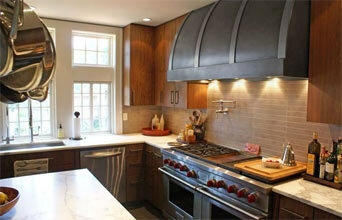 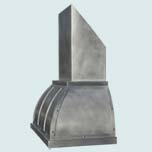 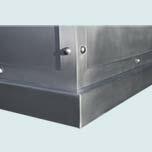 Custom Range Hoods - #4471 | Handcrafted Metal Inc. 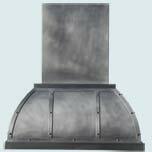 This Double Roll hood is shown with zinc strap panels on front and ends. 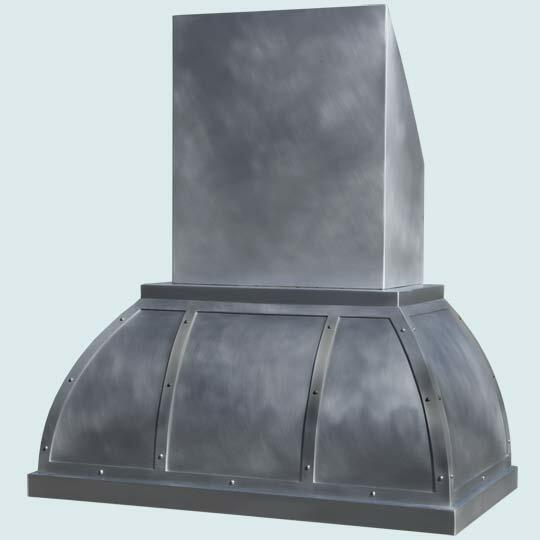 The rivets are round-head steel. 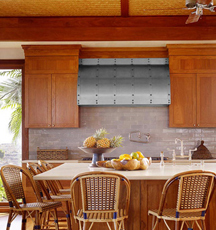 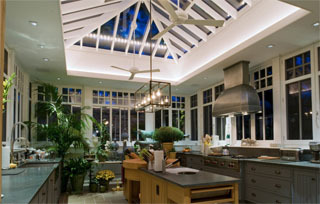 A wide duct cover on top is angled at the back where it touches the sloped ceiling. The hood and strap panels are smooth zinc and with our medium antique patina.